A still life of poppies which has been hidden away in storage for 30 years at the Wadsworth Atheneum Museum of Art in Hartford, Connecticut has been authenticated, we can announce. Specialists at the Van Gogh Museum in Amsterdam have also confirmed that there is a hidden image of a portrait beneath the paint, showing that Van Gogh reused the canvas to save money. This news follows last month’s report that a still life of fruit and chestnuts at the San Francisco Museums of Fine Arts has also been accepted as by Van Gogh. After painstaking investigations, the Van Gogh Museum has concluded that the Wadsworth’s Vase with Poppies is authentic, following an examination of the canvas, ground layer, pigments and style, as well as stylistic and art historical research. The still life is now dated to the early summer of 1886, a few months after the artist’s arrival in Paris. Poppies usually flower there in June and July. In the early autumn of 1886 Van Gogh had written in English to his British artist friend Horace Livens, explaining that he “lacked money for paying models”. He had therefore spent the summer making “a series of colour studies in painting simply flowers, red poppies, blue corn flowers and myosotis... trying to render intense COLOUR and not a grey harmony”. Thomas Loughman, the Wadsworth director, says that the research on their still life has “revealed just how much we still need to learn about Vincent and his growth as a painter, new to Paris and exploring new avenues for his art”. An initial study at the Wadsworth revealed a hidden image beneath the still life and further investigations were undertaken in Amsterdam. Digital x-rays and infrared reflectography show another composition beneath the still life. When the canvas is turned 180 degrees there is the portrait of a man in profile, with an ear as the most recognisable feature. Vase with Poppies was bequeathed to the Wadsworth in 1957 by Anne Parrish Titzell, a Connecticut novelist. Some years later curators felt that the style and handling of the paint was atypical for Van Gogh and it has been off display at the Wadsworth since the 1980s. Although the picture had been included in the Van Gogh catalogues by de la Faille (1970) and Hulsker (1977), it was rejected by two other specialists, Bogomila Welsh-Ovcharov (1976) and Walter Feilchenfeldt (1993 and 2013). Louis van Tilborgh, the senior researcher at the Van Gogh Museum, played a key role in studying the Wadsworth picture. He says that the 1970 de la Faille catalogue should be regarded as “a progress report”, and “slowly but surely, real progress is being made in Van Gogh studies”. Van Tilborgh is happy that Vase with Poppies can now be “firmly anchored” in the oeuvre. Further research suggests a provenance link close to the artist’s time. 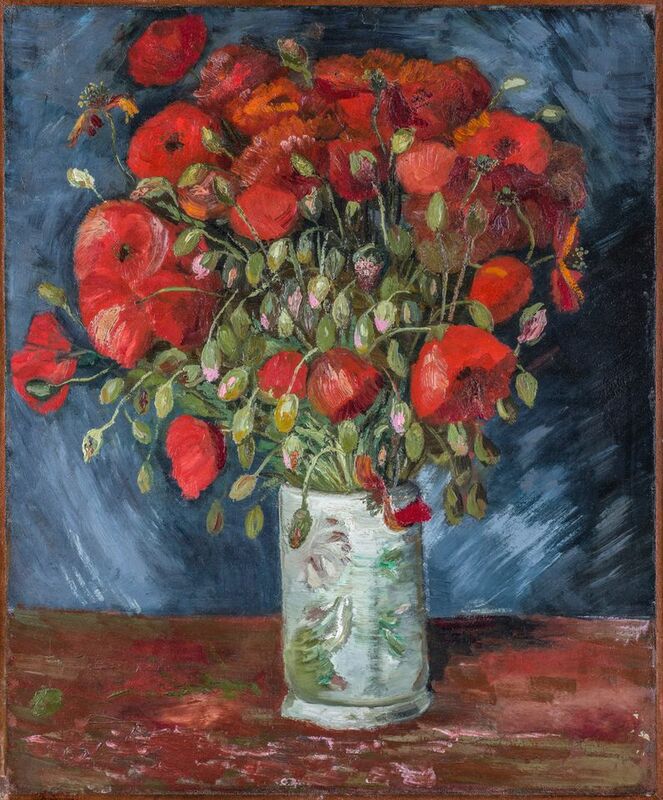 The memoirs of the Paris dealer Ambroise Vollard, who handled Van Gogh’s work from the 1890s, include a reference to him having once exhibited a canvas of “coquelicots” (poppies), which could well be this picture. Vollard may have acquired it from one of Van Gogh’s Parisian friends, quite possibly a fellow artist. 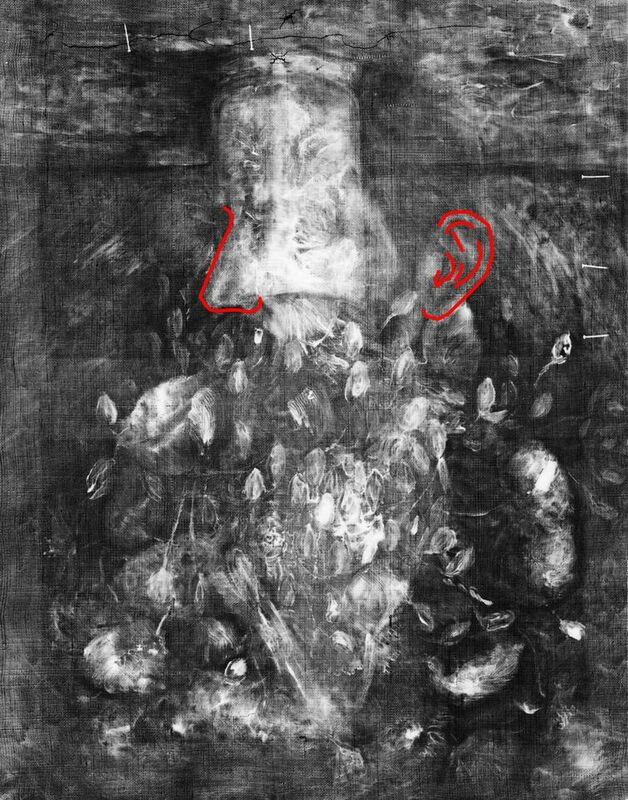 Evidence has also been found that the Wadsworth's still life was displayed at the pathbreaking 1913 Armory Show in New York, where “Red Flowers” was lent by the dealer Stephan Bourgeois, who had recently moved from Paris to New York. Vase with Poppies is now due to go on display on 26 April at the Wadsworth. It has also been promised for an exhibition of Van Gogh still lifes at the Museum Barberini in Potsdam, outside Berlin (26 October-2 February 2020). Van Gogh seems to have loved poppies since his youth, presumably because of their striking red colour. While in London, at the age of 21, he wrote about life with the Loyers, the mother and daughter with whom he was lodging. In late April 1874 he said he was doing a lot of gardening and had “sown sweet peas, poppies and reseda, now we just have to wait and see what comes of it”. Our report last week about the discovery of papers in Van Gogh’s Hackford Road house generated considerable interest. Alice Childs, whose family owns the property, is now getting the papers professionally conserved and examined. It will be important for specialists to analyse the inks, date the documents and confirm that they have lain undisturbed in the house for over a century. Tate Britain’s exhibition on Van Gogh and Britain opens on 27 March. Advance tickets are selling quickly.